The design of any restaurant’s menu can mean all the difference between success and failure in terms of bringing in more revenue and promoting your most margin friendly dishes. 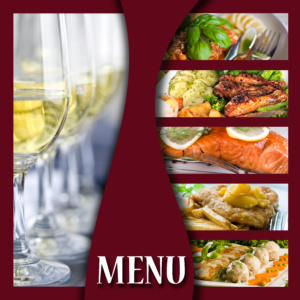 A good restaurateur knows that a well engineered menu is just as important as what an establishment serves. Menu engineering also allows owners and staff to increase the profitability of each order by subtly directing diners to the items you want them to order each time they patronize your establishment. After all, what you serve is the core of what got you into the restaurant business. It’s what keeps you and your staff coming in for work, to feed hungry customers, day in and day out. -”Crown Jewels” are the items that your customers are willing to pay a premium price for that also happen to be more profitable in terms of your bottom line. -”Curiosities” are the dishes that can be a tough sell with customers, but that also provide a higher than average profit margin. -”Staples” are items that are popular with customers but less friendly to your profit margins. Steak with sides usually falls into this category. -”Dogs” are your least popular items which customer rarely order themselves which also have the lowest contribution to the bottom line. The beauty of menu engineering is that clever layout and placement allow you to direct customer’s first glances at the menu towards those Crown Jewel and Curiosity items first. Here are 7 menu engineering tips you can implement right away to drive a higher success rate. The way you label your menu items for success, largely depends on how you choose the name for that particular dish. For example, giving a specific item a more ethnic sounding name to connect it with quality and authenticity in the minds of your customers. Calling your spaghetti and meatball dish “Nona’s Spaghetti Marinara with Neapolitan Meatballs” is a lot more attractive than “Spaghetti and Meatballs”. The more creative and authentic sounding the title, the more likely people are to keep coming back for that dish. Furthermore, the more exotic and embroidered your adjectives in menu item descriptions are, the more likely people are to order a dish. A piece of chocolate cake sounds very generic, but a delectable handmade cake with a blend of artisanal Dutch cocoa and Swiss chocolate wrapped in a sinful dark chocolate espresso frosting, is a dessert everyone wants to try. Where you place the items on your menu is a direct factor in how likely your customers are to order an item. Grouping by the meat or primary protein in a dish is an excellent way to help customers identify what they want to order based on basic concepts they understand. Customers also tend to order the first item in a category list too, so make sure that first heading under chicken is a “Crown Jewel” high margin dish. It’s also a good place for those “Curiosity” items since they tend to be less frequently ordered when they are not near the top of the menu. This is especially important when setting up online menus. “Crown Jewels” and “Curiosities” should always have images on a print or digital menu to set them apart and promote them with customers first. If you are a higher end restaurant and worry that photos in a menus might make it a little too tacky, consider adding a unique font, stars, or coloring the text of the dish differently than the rest of the menu. Take your top margin ticket items and combine them with an appetizer, dessert, and drink to increase the total ticket amount. Customers order more when they feel like they are getting a package discount. A simple number by a menu item keeps diners from thinking too much about what they are spending for their meal. Simple even dollar amounts sans dollar signs are the way to go. This is a time honored technique of menu engineering. When you offer smaller and larger portions or whole and half portions, you are saving money on raw materials for smaller portions. Customers also believe that they are being more consumption conscious with their order while you actually make more money per plate on smaller portion sizes. When a customer first looks at a menu, they follow a predictable scanning pattern whether they realize it or not. Items in the top right of the menu are read first, followed by items on the top left and so on. If you place your “Crown Jewel” and “Curiosity” items in the top right space in combination with these other techniques, customers will order those items more frequently. Ultimately, you and your staff will be the primary and selling source for your menu offerings, but good menu engineering should never be underestimated. Tweak your existing menu with these seven techniques, and enjoy the success that comes with setting up your most profitable dishes as every customer’s first choice.